Where have I been? Besides sewing up a storm, I have been knitting a lot of squares of late, a bit too boring to post pictures of until you put them together. My two friends and I have been making afghans for the volunteer organization we belong to. We all used to go to the weekly meetings and knit and chat with fellow volunteers, but we found that it was getting harder to attend the meetings due to some pretty full schedules of our own, so we decided to work on squares on our own time and then meet to assemble the afghan. The latest afghan was so much fun to put together! 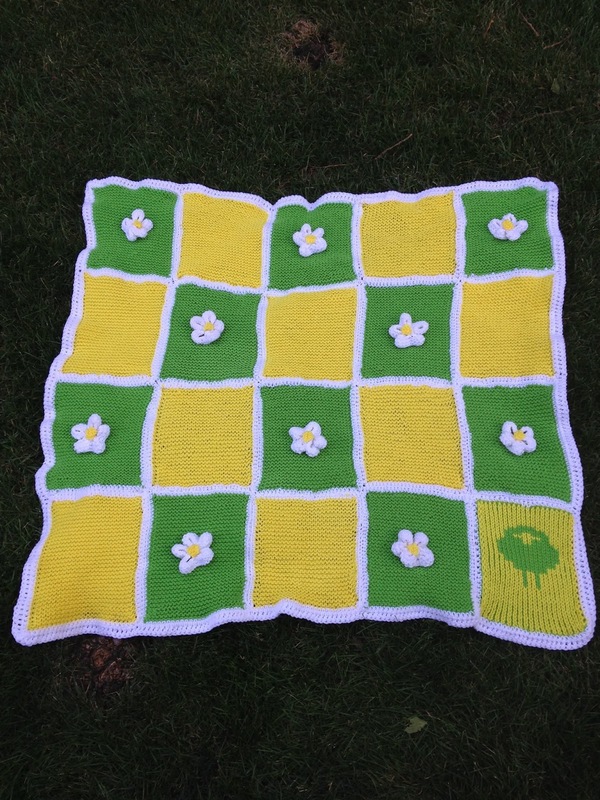 I actually created the color theme for the afghan so that I could knit the daisies for it. These are the smaller afghans designed for children. The larger ones are 39 squares which seems a bit daunting to us (two of us knit) so we leave the big ones to the group. I am now working on the next one which is a Harry Potter theme. It's the Griffindor colors of maroon and gold. I'm hoping to add a Griffindor lion on one of the squares. I like the idea of doing the Harry Potter themes because they can be used by both girls and boys! At the moment, I am furiously knitting some I cords for little bags I'm making for my Etsy Store, Toadwerk and also hoping to complete "the other mitten" which will then become part of a nice winter set for myself. More soon! Eye Candy - Lang Lace...mohair and silk in sweet spring shades.